Cannabis has become a popularly grown crop in many states since the legalization exercise begun. Many people are looking at beginning cannabis farming as a cash crop of just for medicinal value at home. Whether growing cannabis for commercial benefit or just for home use, it is critical you have a good understanding of how to do it successfully. The first thing to consider when beginning cannabis farming is the environmental elements. Lighting is a major factor when it comes to producing high yields. Proper lighting will also help to ensure that the plants get access to a wider spectrum of light. This leads to the production of greener, healthier and better-looking buds. 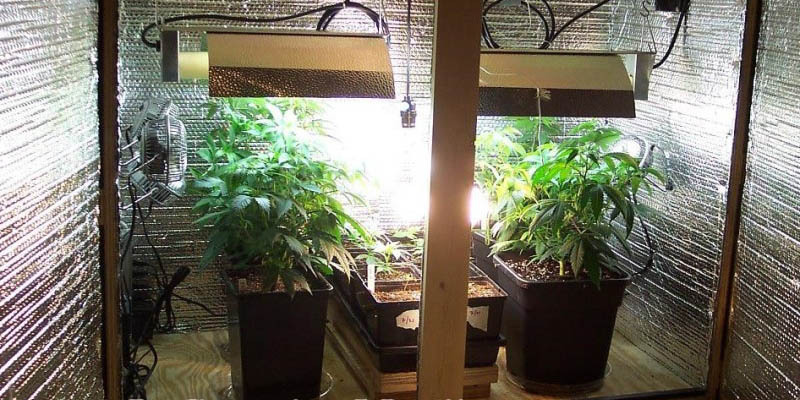 Before you go out and purchase LED grow lights, read this review. There are various factors that depend on the location chosen. When you choose precise positioning, this helps to ensure the other environmental factors are adequately supplied. Consider a smaller area if you are a beginner. For non-commercial beginners, you can go for the cabinets which provide a perfect starting space. Remember that the larger the room, the more expertise is required. For the beginners, it is critical that you choose a manageable location. Another critical factor is the genes of the seeds you are growing. Remember that factors like temperature, humidity, and lighting can be altered accordingly. However, when you choose the wrong seeds, it means that the crops will not produce as expected. Therefore, it is always good that you get seeds right so that you can maximize yields. The genes of the seeds that you will choose cannot be altered at a later date. Once the seeds are planted, you will harvest the same genes. It is, therefore, important that you ask an expert to advice on the best seed variety suitable for your ideal growing location. Right from the time of planting through the different stages that your plants will undergo, it is important you make sure the crops are attended to accordingly. As such, you have to understand the different stages in Cannabis growing. These are the seeding stage, the vegetative stage, and flowering stage. Each of these stages requires different conditions for optimal growth. That is why you have to ensure you understand these stages. Talk to an expert near you to understand what the crops will expect at each of these stages. The climate of the grow room should be controlled accordingly. This is also critical over the various stages. Note that high temperatures will lead to plants that wilt. Cooler temperatures slow the growth of your plants. When choosing lighting, ensure that you don’t go for the lighting that will cause increased temperature in the grow room. The LED grow lights are known for not causing overheating. These are energy saving and will have a longer service. The above tips are critical in growing the cannabis crops. That is why you should first seek to, understand how the environment looks. Ensure you have proper environmental conditions suitable for growing cannabis.